You Can't Out-exercise a bad diet! As a woman who had struggled with being overweight for over 2 years, it was safe to say I was “down and out”. I wasn’t eating and living healthy and this affected my self-confidence as a person and sometimes got me depressed, this was a very dark time for me. But all that changed when a friend of mine recommended Dr. Srivastava to me. As soon as Dr. Srivastava was recommended to me, I visited Nirvana healthy living and contacted her, she then put me through the whole process and I would say that it was a life-changing experience for me. I enrolled for the 8-day weight loss plan and also the consultation and cooking class. During the program, Dr. Srivastava made vital changes to my life. With the plan I lost 7 lbs. in 8 days and in a month I was able to lose 32 lbs. she helped me reach my weight loss goal and brought back my self-confidence. Dr. Srivastava was knowledgeable and very supportive throughout the whole process, she taught me how to prepare healthy meals that helped achieve optimal health, the proper nutrition that was right for my body. She also counseled me on moderate exercises and deep relaxation techniques that were essential to my well-being. I have reached a level of fitness that I never thought possible, I feel, look, and act years younger and I am living a healthier life all thanks to Dr. Srivastava. She has completely changed my life! "The 8-day weight loss plan works. I lost 7 lbs in 8 days. She is very helpful with the questions and answers them quickly. I also got Reiki treatments, foot detox, and gentle yoga which were a great experience and helped to balance me emotionally and made you feel great. 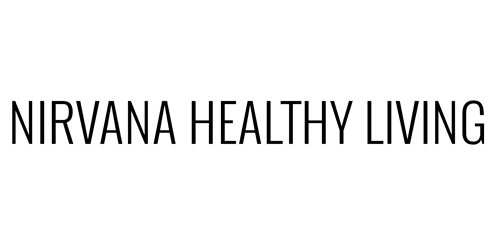 Highly recommended"
At Nirvana Healthy Living our mission is to provide the highest level of nutritional counseling in the community using the principles of functional medicine, nutrition as medicine and making healthy lifestyle changes. We are dedicated to helping people make informed and supported nutritional changes to their diet as well as lifestyle, to help in successful management of weight as well as chronic diseases. We specialize in Weight Management, Diabetes Education, Heart Health, Autoimmune Diseases, Gastrointestinal Disorders, Food Allergies, Arthritis, Eating Disorders etc. Please take a look at the services we provide and contact us today for an appointment. We look forward to working with you to help you achieve your health goals.